Paper used to be important carrier of cultural transmission in history. The advent of the electronic information age weakened its function of carrying information. But paper shows abundant character in art creation. 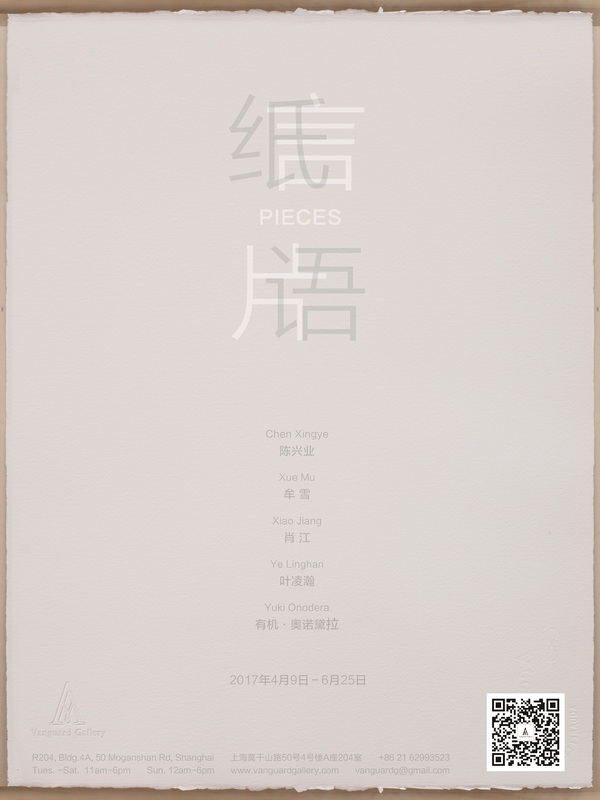 Vanguard Gallery will exhibit paper works of Chen Xingye, Xue Mu, Xiao Jiang, Ye Linghan, Yuki Onodera. Paper presents unique character in five artists’ creation. 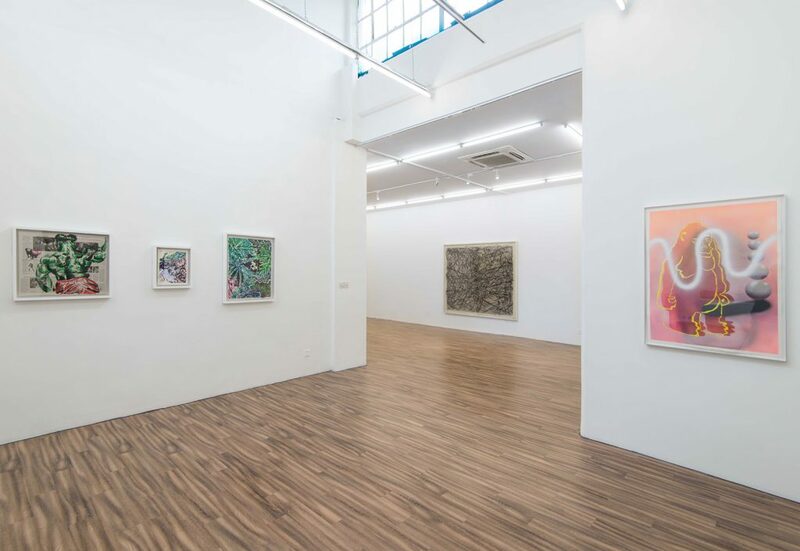 The paintings of Chen Xingye reveal the fascination of apes, which are highly similar to the human being. Artist uses contemporary expression to describe his imagination for the primeval as a modern person, but also for the future. The exaggerated muscular body is undoubtedly the totem of primitive power, and whether there is same relationship between the primeval under the illusion of power and present? “Ape” is just the object of imagination, these imagined images reflect our self-examination and the balance between ourselves and present environment, reality and nihility, past and future. 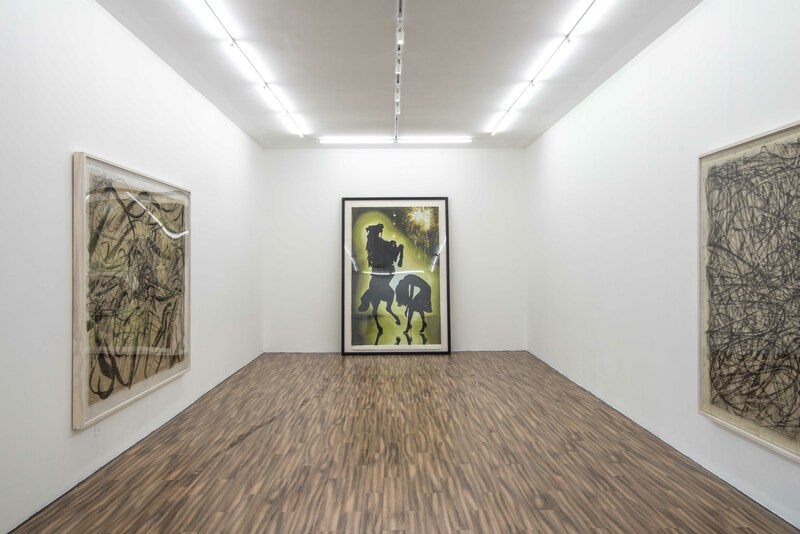 Bypassing the conventional perception of value imposed by the modern world, Mu’s often abstract artworks are the result of a process of reflection that associates today’s existence. Through an almost synesthetic approach, Mu visualizes the paradoxical co-existences between insignificance and value, to dispute the physical understanding of reality and its moral conventions while facing the intensified ideological confusion and identity struggle at present time of globalization. Critical social events inspire Mu as a catalyst rather than a subject – they accelerate the revelation of the intertwined relationships between the stories surface (the image) and its concealed cause (the dynamical truth). Through art making she wants to revive a mind space exploring the, in fact, none-hierarchic and ever circulating being of things as a complex unity. 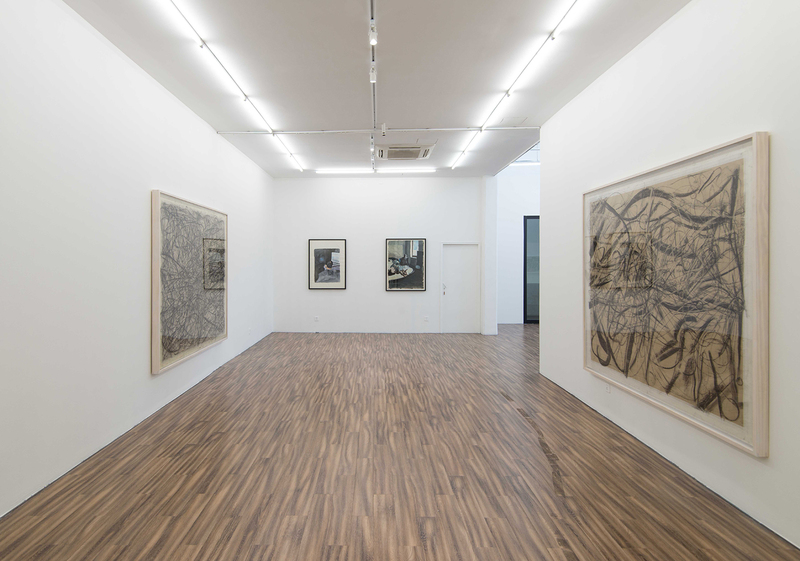 At the first look on Xiao Jiang’s work, you will be encompassed with the sharp atmosphere. Something are left by his work unsaid, expressing the power in a silent way.Xiao Jiang’s works has drawn its materials from the episode of the movie and real life which is so familiar to people that is easily ignored. Under artist’s unique perspective, they are cut out and recombined. Xiao Jiang takes the inspiration from the reality but structures an absolute fantasy world, leading the audience to dislocated visionary feelings. Most of Ye Lingan’s works are derived from his animation creation, which carry strong symbol features and the fragmentation of the sense of time and space. Perfect Part series of paintings is the continuation of the animation Rotation and Chrysler－2013. Ye drew a lot of seemingly obscure of columns or other objects with the purpose to reveal the intangible influence and intervention of daily objects on us and our dilemma and desperation. However, memory has preserved their shape, which is superimposed or “anamorphic” in a vague state. This series, Onodera’s first printed work, was produced in China by eight craftsmen and employs thirty-eight separate large-format silk screens. Onodera has said that her interest in prints was triggered by consideration of what might lie in the future of photographic printing, in the post gelatin silver print era. In an annular eclipse, the light of the sun seems to shine from behind the moon, making us aware of the middle ground between the visible and invisible. By using such festive elements as fireworks, neon, and confetti, the human and animal pairs in motion present a very different appearance from the still silhouettes of “Transvest”. The wildly twisted postures of the figures is also a metaphor for the relationship of human beings to their environment.